In 2010, 19% of us had tried video calls or video chat. By 2016, that figure rose to 46%. And last year, Skype surpassed 1 billion downloads while Messenger powered 17 billion video chats. Clearly, our use of video as a contact method is on the rise. But what about video in a customer service context? Though it’s not as wildly popular as facetiming friends or making casual WhatsApp video calls, video chat is steadily gaining traction as a customer support option. That doesn’t always mean it’s the best option, though. Video chat support can be a godsend to struggling customers – and it can also be an invasive form of overkill. It’s all about context. So, here’s our guide to help you decide when to use video chat support in your real-time customer service — and when it’s not the best tool for the job. Video chat support is a feature in live chat software that enables your agents to offer a face to face service online. During a video session, agents can help customers with issues when text alone isn’t enough. Video lets customers and agents pick up on, and respond to, vocal cues and facial expressions. In terms of the human touch, this face-to-face nature makes video chat support the next best thing to an in-person conversation. So, used well, it can diversify and humanise your digital customer service. There are a few prerequisites to video chat support, however. 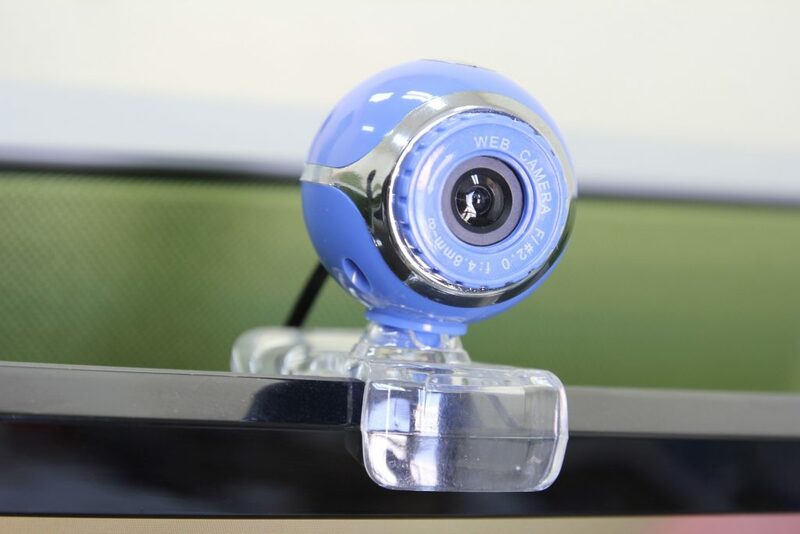 Both you and your customers need the equipment to support video chat. Specifically, you’ll need a decent camera, a microphone, and internet speed and stability. A video session that’s eternally buffering, lagging and dropping isn’t real-time support, it’s a real-time nuisance. Plus, when used frivolously or in instances where a standard chat session is perfectly sufficient, video chat support can leave customers feeling uncomfortable or waste your time. As with any communication channel, then, video chat comes with pros, cons, and caveats. So, when should you use video chat support? A video session gives the ability to provide emotional context during support interactions, making it useful for tricky queries. It also enables more ways to convey meaning between customers and agents — such as showing the problem with a product, or giving physical demos. And of course, video chat support is great for sessions that are detail-oriented, long or complex. Unfortunately, articulating a complex problem or technical issue isn’t always easy via text alone. Nor is explaining an intricate fix. In these situations, video chat support could save the day, as it offers more methods of conveying context and information. Participants in the video chat will be able to pick up on facial cues and vocal tones. This means they can rephrase their instructions or explanations when needed, for a smoother support experience. They can show what they mean by demonstrating resolutions, showing each action needed to fix an issue at the customer’s pace. Video chat support is also a great way to provide customers with any training they might need to use your product. Instead of leaving customers to slog through content and text they probably don’t want to read, you can improve their experience by using video. With a video chat support session, you can show your customers not only how to use your product, but everything it can do. It’s both a demo opportunity and a training ground, helping you advise the customer as if you were right there at their side. Video chat support can also be used to consult with your customers in real-time. It’s great for high-end purchases or problems where the customer needs a more advisory approach. A video session would be well-placed in a medical or counselling context, for example. This consultation can go two ways. Video chat can also enable you to talk face-to-face with business partners, resellers and focus groups to discuss your brand and gather feedback. Video chat support is a feature – an extra tool – to bolster your live chat service. It’s not the main event, and it’s not as flexible as a traditional live chat session. You wouldn’t use a hammer to do the job that a bit of oil or a screwdriver could do – it’s overkill. When it comes to the small, everyday simple support jobs, video chat simply isn’t the right live chat tool for the job. Frequently asked questions are quick and easy to answer. If a chatbot can handle the support interaction easily, video chat is overkill. Using video chat to answer quick, simple site queries wastes the time of both you and your customers. Video chat support, while convenient for long support interactions, can feel too invasive for a first-time customer. Because a video chat means a face to face interaction, it demands your customer’s full attention. This will often be too intimate for people browsing from their sofas, or chatting with multiple other tabs and tasks open. For initial enquiries, a video session can, therefore, be too much of an imposition that puts customers off reaching out. Plus, until your agents are aware of the nature of support needed, you have no way of knowing whether video chat is appropriate. Video chat support is only convenient when text-based chat isn’t enough to fully support the customer. While chatting with your team, many customers will want to multitask and continue browsing your site – making video ill-timed. Or, the customer might have a few general account questions that don’t require the intensity of a video. A customer doesn’t want to open their camera and microphone to find out when their next bill is due, for example. So, when deciding to use video chat support, consider the type of service the customer needs. Video chat support is great for longer, more complex conversations. It’s decidedly less so for quick queries or standard support interactions. Choosing the right tool to support your customers should be evaluated on a case by case basis. Every customer is different, and every query will have the best tool to fix it. Used right, video chat support is a great tool to add to your live chat arsenal. Get started today with a free trial of WhosOn and its inbuilt video chat functionality: https://www.whoson.com/free-trial/.